Pueong, 7, smaller than his peers, is an undocumented child living with his undocumented Vietnamese migrant parents in Gyeonggi Province. “When I grow up I want to be a policeman and catch thieves. My favorite food is spaghetti and fruits like mandarin,” said Pueong, who attends Asiachang Day Nursery in Gunpo, Gyeonggi Province. At 36 months, Pueong was hospitalized twice for pneumonia caused by living in a moldy semibasement home. Uninsured, Pueong’s hospital bill came to 3 million won ($2,670). With his parents unable to shoulder the financial burden, Pueong was not able to receive follow-up treatments and suffered from malnutrition, stunting his physical development. Still, Pueong is one of the fortunate undocumented children receiving education and care at a nursery, as most are off the grid and denied basic children’s rights to education, health care and protection from violence. Some 20,000 undocumented children below the age of 18 live in Korea, according to estimates from the Justice Ministry. “The biggest problem is that we do not know where the (undocumented) kids are because they are not tracked,” Jeanie Kim, a lawyer at Gamdong, an immigrant support and public interest center, told The Korea Herald. Kim added that unless Korea implements universal birth registration, local authorities would not be able to prevent and resolve crimes involving undocumented children. Civics groups here are calling on the Korean government to adopt universal birth registration, as failing to do so would be in violation of the UN Convention on the Rights of the Child. In joining the human rights treaty in 1991, Korea agreed to entitle each child under the age of 18 to all rights within its jurisdiction without discrimination of any kind. In the face of legal constraints and anti-immigration sentiment, however, undocumented children here are deprived of basic rights and kept in the dark from society. Inconsistent use of the word “children” across different laws poses an obstacle for undocumented children’s access to basic rights. Children eligible for various government support, however, are limited to those born to “citizens” by the Infant Care Act and National Basic Living Security Act. Though Article 19 of the Elementary and Secondary Education Act allows undocumented children to receive elementary and middle school education, whether they can enroll is left to the principle’s discretion. “In case of child care centers, undocumented children are often refused because facilities have to do a lot of complicated paperwork, and the government does not provide subsidies to undocumented children,” Kim said. 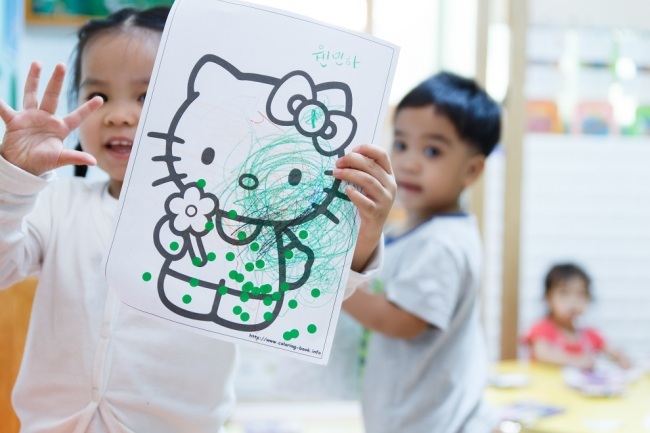 In terms of health care, the revised National Health Insurance Act that went into effect last month allows undocumented children to join Korea’s health insurance. But the monthly insurance fee nears 100,000 won ($89), above average. The National Assembly is treading gingerly in light of anti-immigration fervor fueled by the case of Yemeni refugees in Jeju last year. In 2014, the Democratic Party of Korea proposed an amendment to the Child Welfare Act and Immigration Control Act that would postpone deportation of either of the parents while a child receives compulsory education. It failed to pass. The proposal faced harsher than expected public backlash, recalled an official who worked on the revision. “We had anticipated that it would not be easy to get the amendment to pass, but not to the degree of receiving countless text messages and phone calls opposing it from supporters and fellow party members,” said an official who spoke on condition of anonymity due to the sensitivity of the issue. To authorize birth registration of all children regardless of the parent’s legal status -- similar to Italy, the UK, the US, France and Germany among other countries -- a revised Family Relation Registration Act was proposed by members of the ruling Democratic Party last year and remains pending at the National Assembly Judiciary Committee. Experts have warned that continued neglect and alienation of undocumented children while the number of foreigners continues to grow may backfire. “If our society discriminates against undocumented children -- vulnerable to crimes -- as outcasts and deprives them of the opportunity to education, there is a possibility they may become rebel forces,” said an official at the Youth Hope Foundation. In a more hopeful sign, the Cheongju District Court in May 2018 ruled in favor of Peber, 18, who was born and raised here undocumented, canceling his deportation. “From a human rights, humanitarian and economic perspective, a proactive approach should be taken for those, like the plaintiff, who were legally born in the Republic of Korea, but have lost their status of residence because their parents have lost their status of residence,” the court said. Peber was granted a student visa by the Justice Ministry and is currently studying engineering.